Hi kids! I hope you’re having a good week and spreading lots of Christmas Cheer. Up here at the North Pole we are busy finishing the toys and wrapping them. Our sleigh engineers are double checking the sleigh to make sure every bolt is tight, the runners secure, and polishing everything to a high luster. We’re almost ready for Santa’s big trip. The reindeer are taking it easy. We don’t want any of them to injure themselves this close to Christmas eve or get too tired. 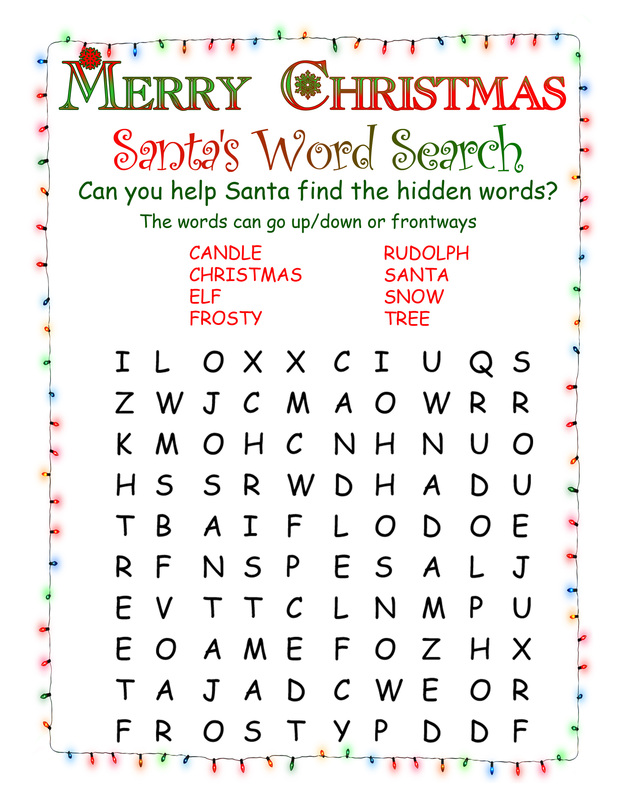 There is an easier word search, a medium difficulty word search, and a harder word search for the older kids. Which one can you finish? 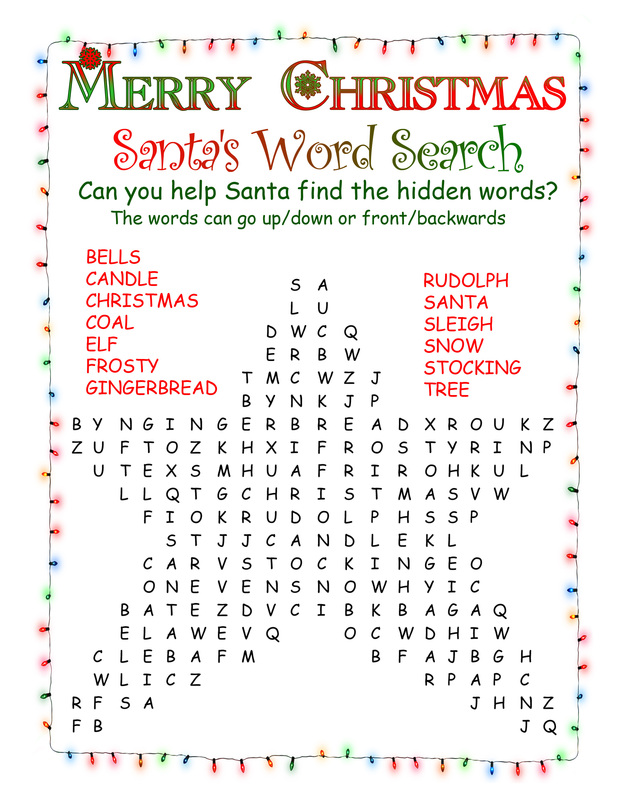 Have your Mom or Dad help you print one of the word searches below. If they hold their cursor over the images it will show if it is easy, medium, or hard. They can click on a picture and it will open up in a new window and they can print it from with the browser or save it to your computer to print later. The weather below is for an area close to the North Pole, but not right there. 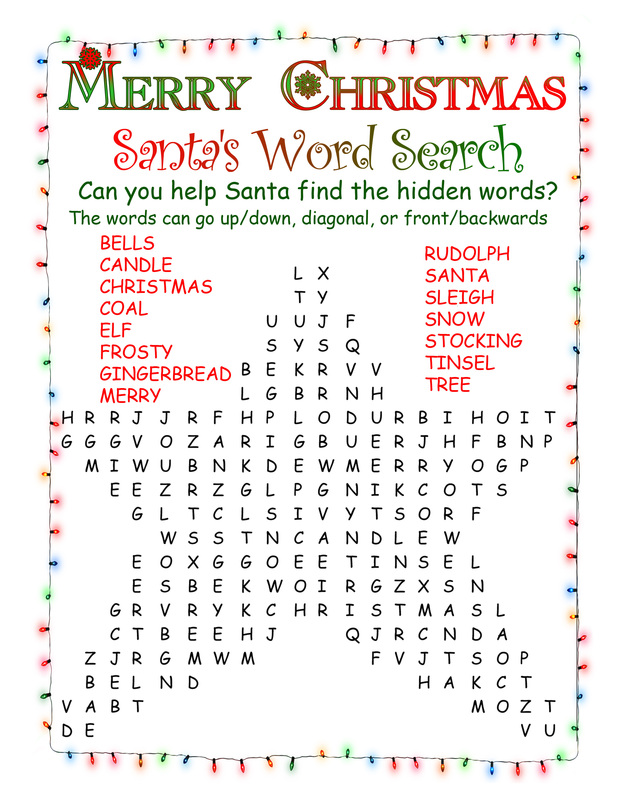 Santa wants the exact location of the Workshop to stay secret. If the data feed is not working we are probably out playing in a snow storm because the power is out. The really foggy days are perfect days for Rudolph to practice leading the team.